AKIPRESS.COM - An International Monetary Fund (IMF) staff team led by Mr. Geoff Gottlieb visited Ulaanbaatar from May 2-17, 2018 to conduct discussions on the fourth review of the three-year Extended Fund Facility (EFF) arrangement approved on May 24, 2017, in an amount equivalent to SDR 314.5054 million, or about US$434.3 million. “Macro-economic performance under the program remains positive, with all quantitative targets met. Fiscal results in the first quarter of 2018 have been much better than expected with a 21-percent improvement in revenues. Net international reserves improved by $200 million over the same period. “On fiscal policy, the authorities’ program for 2018 envisages continued budgetary restraint and strengthening tax administration. In addition, the authorities are taking concrete steps to improve public financial management particularly with respect to concessions, public investment projects, and the operations of the Development Bank of Mongolia. “In the financial sector, the authorities are moving ahead with the strengthening of the banking system as part of the follow-up to the recently completed Asset Quality Review. Banks that are undercapitalized will have until end-December to raise capital. A law that sets out, under appropriate conditions, when public funds can be used to stabilize banks is expected to be passed shortly. The authorities are also moving ahead with reforms that will allow for more rapid NPL resolution and strengthening banks’ balance sheets. “The authorities are committed to maintaining a monetary policy stance that is vigilant against inflation and supporting further strengthening in the balance of payments. It is critical to maintain progress in building reserves to help insulate the economy from external shocks. Sound macro-economic policies accompanied with structural reforms of the banking system will help durably reduce interest rates. 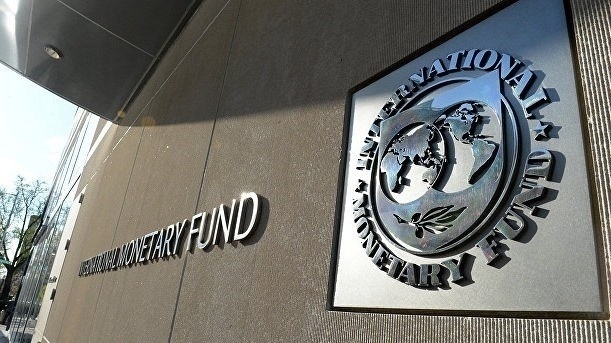 “The authorities and the mission have reached staff-level agreement on the completion of the fourth review under the EFF arrangement, which is subject to the approval of the IMF Executive Board. The dollar amount is calculated based on the SDR-dollar rate of May 24, 2017, equivalent to $425mn at SDR-dollar rate of 1.35274 as of February 27, 2017.